That's it. I hope you enjoy it. Please send your comments, questions, or suggestions to lefty2000@outlook.com. 10/11/2014: Actionscript Tutorial -- Implementing a rocketship game. I am now working on my rocketship game, but instead of building on what I had previosly done, I decided to start from scratch and use some of my recently acquired knowledge. Progress will be documented in the form of actionscript tutorials which I will post as I go. The plan is to advance in easy stages. I am focusing on the actionscript and not the graphics. You can use my graphics by downloading the sample lesson files, or make up your own. The above interactive flash video is the latest version. You are welcome to send your comments, questions, or suggestions to lefty2000@outlook.com. Flash lends itself to writing 2-D games that are not too complex, and can be played online in a browser. The level of complexity suitable for this type of game is consistent with the capability of a solitary programmer sweating over his keyboard late into the night. My first version of Flash was MX2000, aka Flash 7. Later, I upgraded to Flash 8, but I have not kept up with later versions. For the time being, most browsers can handle Flash 8, but that may change in the next few years, for I hear rumbles that HTML5 is the next big thing for online media and flash is on the wane. We shall see. 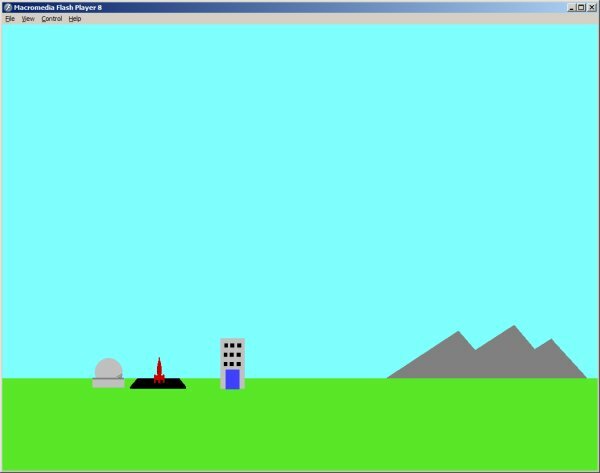 I have been thinking about updating my Rocketship flash game, but after studying the existing code for awhile, I realized I needed a refresher course on actionscript 2.0 and I needed to extend my knowledge of same. So I decided to tackle the problem of converting the Lapmaster game which I orginally wrote in python into flash and write a tutorial describing the process of writing the game as I went along. So far, I have about 95% of the game converted and running. You can read the tutorial here: actionscript tutorial. To play the current version of the demo game online in your browser, click here. Please send your comments, questions, or suggestions to lefty2000@outlook.com. Like all things microsoft, the issue of DLL redistribution is a messy one. According to the instructions at Determining Which DLLs to Redistribute you can get a list of which files you are allowed to redistrbute from your version of VC10 by looking at the file redist.txt in the compiler installation directory. Determining which DLL's you are using can be difficult, and the easiest way to find out is to move your program onto onto another computer with a standard factory load, which does not have the compiler and the SDK installed and try to run it. You will soon know what is missing and go from there. You may be able to work around the problem by deleting some features from your program or doing things in a different way. Depending on what features of MSVC you have used, you may not need any of the non redistributable DLL's. Using basic low level functions of Windows increases the chances of avoiding this problem. I have run this test with several game project programs which use basic Windows functionality, including opening a window, loading and displaying a bitmap, keyboard input, playing a sound, and one that includes OpenGL code and found no problems with running them on a new machine which had only a standard windows 8 load. My conclusion is that portability from one windows machine to another may not be as much of a problem as I earlier had implied in my previous posting. One word of caution, however. The Microsoft article on redistribution clearly states that "debug" versions programs are NOT redistributable. Before giving your friends your program to play with, be sure to compile it in a release version. lefty2000@outlook.com My Email Address for this site. This is an example of programming a simple game in flash8. This is the first part of rocketship game which allows the player to fly a rocket into orbit and navigate from the earth to the moon or to other planets. This initial version only allows the player to lift-off and fly around inside the Earth's atmosphere. The game begins with the rocket poised on the launch pad. To start and stop the engine, press the space bar. To rotate the rocket, use the right and left arrow keys. If you fly out of the atmosphere, the rocket will disappear off the top of the screen. In a future version, if I get around to writing it, the view should switch to a view of the rocket in orbit around the earth. To play the game online in you browser, click here. After the page opens, you may need to click in the window once with the mouse before the video responds to the keyboard. I have included the flash source in the downloadable zip file, but you will need the flash authoring tool in order to look at it. 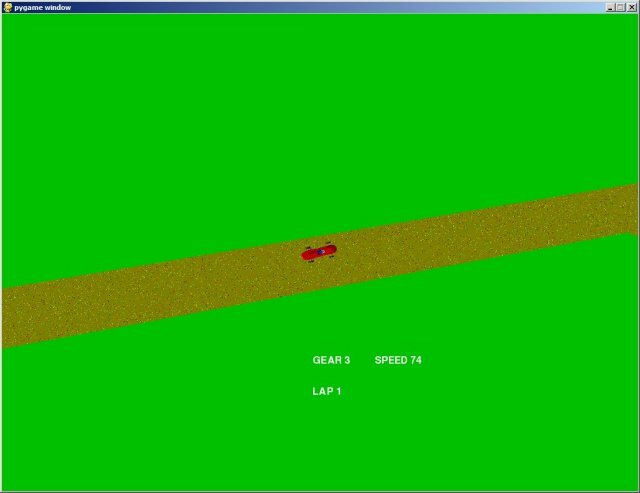 My first project is a driving game called Lap Master. The player drives an old style "cigar shaped" race car around a closed track and tries to complete a certain number of laps in minimum time. The player controls the car using the keyboard. As configured, the car has four gears. To shift up, use the up arrow key, to shift down, use the down arrow key. To turn right, press the "d" key and to turn left, press the "a" key. The car turns at a constant rate when the "a" or "d" key are pressed. This means that the radius of the turn depends on the speed. The higher the speed, the greater the radius of the turn. To turn more sharply, speed must be reduced; that is the only way with Lap Master. It is a bit unrealistic, but it makes for challenging play. The steady state speed in each gear is 25 mph for 1st gear, 50 for 2nd, 75 for 3rd and 100 for 4th. There are four turns on the existing track, and it is possible to make them all at 100 mph, but you must start the turn at the right spot. If the car goes off the track, the gear drops to 1st gear and the car jitters until you steer it back onto the track. The gear setting, current speed, and lap number are displayed on the screen during the race. when you complete the last lap, the game will stop and display your elapsed time for a few seconds so you can record it before the game exits. It's a simple, fun game. To download the files, click here. If I come up with any improvements, as is my intention, I will post them here. For more information about Lap Master, how it was developed and how it works, click here.